Britain's Prince Harry and Meghan, Duchess of Sussex attend a gala performance of The Wider Earth at the Natural History Museum in London, Tuesday, Feb. 12, 2019. When Meghan Markle became engaged to Prince Harry, the American TV star seemed to charm everyone she met. She and Harry toured Britain to adoring crowds, and she pledged to hit the ground running once she officially joined the royal circle. Britain's rambunctious, royal-obsessed press praised her as something different, a fresh take on an old "firm" in need of a bit of dazzle. Nine months after her wedding extravaganza and now formally known as the Duchess of Sussex, the 37-year-old is pregnant — and finding that life in the royal fishbowl carries not just glamour and great charitable opportunities but liabilities as well. Meghan is engaged in a painful, public rift with her father — played out in the nation's tabloids, of course — and dealing with speculation that she is feuding with Prince William's wife, Kate. Katharine McPhee is a theater kid at heart – and so is Meghan Markle! The former "Scorpion" star revealed that she and the duchess performed in musicals together back in the day, and she shared a pic on Instagram to prove it. See little Kat and Meghan before they became stars! Her half-sister Samantha has been sniping at her in public, and the once-fawning press has criticized for everything from being hard on her household staff to spending too much time cradling her "baby bump." "I should think she's finding it pretty difficult," said Ingrid Seward, editor-in-chief of Majesty magazine. "It's such a minefield, being a member of the royal family. Perhaps she should have eased herself into it a little more." She said Meghan has, like Princess Diana before her, probably been shocked at just how intrusive the press can be. "I don't think they realized quite how nasty it would become," she said of the continuing spat between Meghan and her father and half-sister. Seward said Meghan will never be able to quell tabloid rumors about rifts in the royal household — stories that rely on unnamed "sources" will continue to bedevil her. 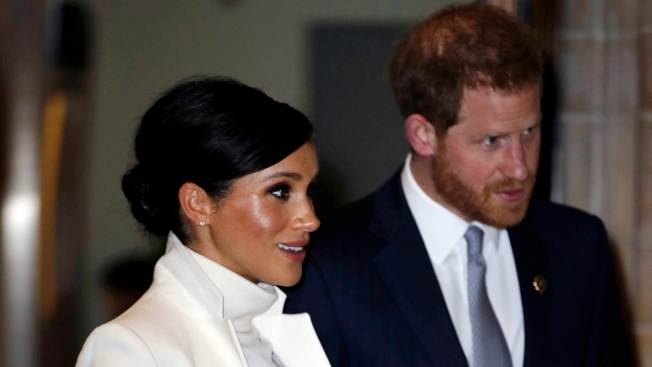 Meghan has maintained her equilibrium in public, keeping up a hectic schedule that includes travel and charitable appearances even as the birth of her first child nears. She has been unfailingly elegant and gracious in public, and retailers say her fashion influence — dubbed the "Markle sparkle" — remains intact, shown by the spike in interest in Stow products after Meghan was seen carrying one of its leather travel organizers. Talk of a royal feud between the spouses of Prince William and Prince Harry was fueled late last year by Harry and Meghan's announced plan to move out of central London, where they live on the grounds of Kensington Palace along with William and Kate, in favor of Frogmore Cottage, in a rural setting near Windsor Castle. Some in the press jumped to the conclusion that Meghan was not only unable to get along with Kate but had also prompted a split between William and Harry. No one outside the royal inner circle knows for sure if there is ill will between Meghan and Kate. But there is no denying the ugly break between Meghan and her father, who has shared an anguished letter from Meghan with the Mail on Sunday tabloid. "If you love me, as you tell the press you do, please stop," Meghan implores her father, who has frequently spoken to the tabloid press about Meghan and the royal family. "Please allow us to live our lives in peace. Please stop lying, please stop creating so much pain, please stop exploiting my relationship with my husband." Royal expert Hugo Vickers says the strained relations between Meghan and her father may have reached the point of no return. "It's all become ridiculous, a tabloid scam," he said. The best thing would be some sort of reconciliation with him, but it may have gone too far." We sat down with Kelly Saks, the Community and Marketing Manager for Bumble, to find out how to take your dating profile from drab to fab. Meghan and Harry's press office has not commented on the letter, portions of which were reprinted in The Mail on Sunday in what was said to be Meghan's distinctive, elegant handwriting. The publication of the August letter — claimed as a "world exclusive" by the tabloid — is the latest salvo in the tabloids' fascination with the elder Markle, who divides his time between southern California and northern Mexico. Markle, 74, did not come to Meghan's wedding in May, citing a last-minute heart ailment, so Harry's father Prince Charles walked her down the aisle. 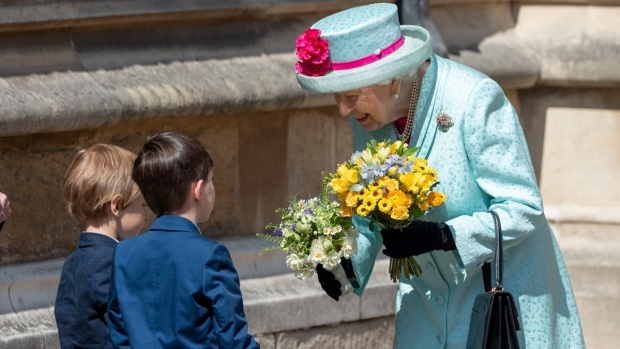 He has complained that he can't reach his own daughter now that she is part of the royal family. Markle's complaints, and a string of press stories criticizing Meghan, prompted a group of Meghan's friends and former co-stars on the "Suits" TV show to tell People magazine that Meghan was being subjected to unhealthy scrutiny as she carries her first child. Actor George Clooney, who did attend the royal wedding in May, made the same point this week, comparing the tabloid scrutiny of Meghan to the press harassment that contributed to the death of Harry's mother Princess Diana in a 1997 car crash. "It's history repeating itself," the star warned, saying it was frustrating to see a pregnant woman "pursued and vilified" by the press. “The Crown’s” Claire Foy and Seth Meyers discuss the types of tattoos they believe Queen Elizabeth II should have, including maps, Prince Philip and corgis.